“CRACK!” A whamming freight train of a left hook smashes against the granite jaw of Joseph Parker, as a thrash of thick, spume-like slaver oomphs from his gaping mouth, while a spattering-lash of sweat pelts from his drenched glistening crown. In that precise moment, Joseph Parker’s body is scaffolded by legs of thin splints as he falls to the canvass like a mighty oak that’s been chopped down and defeated by a burly powerhouse lumberjack in, Dillian “the body snatcher” Whyte. The “Whyte vs. Parker” fight was certainly a brutal crackerjack of a slugfest which demonstrated the power, iron-grit and determination of Dillian Whyte. So, with the World Boxing Council President Mauricio Sulaiman, declaring that Whyte is being overlooked in place of Tyson Fury as the challenger for Deontay Wilder’s WBC world heavyweight title; it wouldn’t be hard to imagine “The Gypsy King” vs. “The Bronze Bomber” is maybe a fight Wilder would much prefer. At 6ft 9″ and 18 stone; the former WBA, WBO, IBF, IBO and Lineal champion, Tyson Fury is a g. A dangerous foe to any fighter within the heavyweight division and a man whose adept boxing capabilities and unorthodox, hybrid style is awkward and extremely tricky to overcome. Fury sports an impressive record of (26-0-0), with nineteen coming back way of knockout. It’s certainly clear Tyson Fury can “bang”; however, he’s not a “banger” per se – unlike the power-punching calibre of Wilder, Whyte and Joshua. Fury (in theory) can and probably should win the bout against Deontay Wilder. Although, as we know, fights are not won theoretically and the cold reality is, Fury’s had a long hiatus from the sport and a showdown with a formidable knock-out merchant, such as Deontay “The Bronze Bomber” Wilder, may possibly be too soon for the Lineal champion. 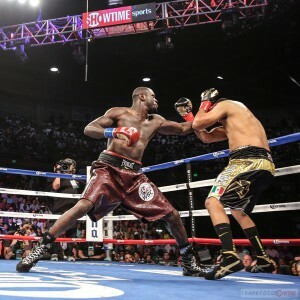 Presently, this clash favours the WBC champion – a fight with Lineal status on offer will too much of an enticement and opportunity for Wilder turn down. At 6ft 4″ and 18 stone; the former British heavyweight champion and current WBC Silver world heavyweight titleholder is a bull of a man that configures a solidly-strapping, bulky-muscular physique. A lethal certified stalwart-banger who is equally equipped and capable to dance within the parameters of the sweet science as well as tearing it up in an ugly, broiling-brawl. A man whose boxing abilities have certainly slipped a gear or two in the last eighteen months. Whyte is one of the most lethal heavyweights competing right now, who’s hungry and ready to annihilate both Wilder’s and Joshua’s aspirations of becoming unified champions. But, with no title fight this year on the horizon, it looks as though the second rumble with Derek Chisora may be likely. The two heavyweight scrappers met in 2016 and tore shreds out of one another for twelve rounds, in a dynamite exchange of heavy artillery. However, there was some controversy regarding the result as”The Body Snatcher” had seemingly “snatched” the victory in a points win. If the title-hungry fighters return for a second fight, we could well expect another 10 oz gloved straightner from two heavy-handed warriors. Plus, Chisora’s savage knockout over Carlos Takam is a testimony to his devastating, one punch- power ability and how just one beefy, chopping slog could render Whyte out cold and potentially out of the mix for a title shot. But, whether it’s Whyte vs. Chisora or Wilder vs. Fury; one thing’s for certain: heavyweight boxing is ablaze and roaring right now with a glut of talented boxers who are revved up and raring to go – relishing the opportunity to be No 1 and King of the heavyweight division. Interesting, enticing, and exciting times are most definitely upon us within the noble art of boxing.